At 32, Howard Warren Buffett, the grandson of the Berkshire Hathaway founder Warren E. Buffett, has already enjoyed a diverse career. He teaches at Columbia University, runs a farm in Nebraska, previously oversaw his family’s foundation and worked on economic redevelopment efforts in Afghanistan for the Defense Department. So far, however, he has steered clear of the private sector investing that made his family’s famous name and enormous fortune. Now, that is changing. Mr. Buffett has co-founded a permanently capitalized operating company with big ambitions — essentially mimicking the structure of Berkshire Hathaway, the $328 billion conglomerate that owns everything from railways to candy makers. Although his grandfather has traditionally acquired stalwart companies with timeless appeal, Mr. Buffett is taking a decidedly more forward-looking approach. The plan is for the new company, called i(x) Investments, to invest in early-stage and undervalued companies that are working on issues such as clean energy, sustainable agriculture and water scarcity. Mr. Buffett’s co-founder at i(x) is Trevor Neilson, who has had a similarly diverse career. Most recently president of the financial services firm G2 Investment Group, Mr. Neilson previously was the director of public affairs at the Bill & Melinda Gates Foundation and served on President Bill Clinton’s advance team. 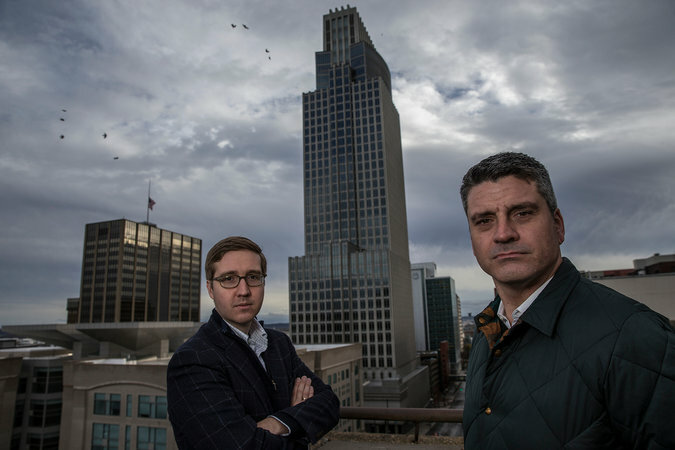 Though the company is just getting started, the founders are already talking a big game. Mr. Neilson said that friends and strategic partners were investing $2 million to $5 million this year. Next year, he said, i(x) will accept $200 million from family offices, institutional investors and big companies. Mr. Neilson is on a road show of sorts, pitching i(x) to venture capital firms like Kleiner Perkins and Andreessen Horowitz and tech companies like Google. Mr. Neilson is similarly ambitious when imagining how i(x) will deploy all that capital. He said the plan was to start slow this year, taking small stakes in early-stage companies. But he hopes the firm eventually will make investments worth $100 million each year. The goal is to file for an initial public offering by 2020. So far, i(x) has not made one investment, though Mr. Neilson said the firm was close to taking its first two stakes. Celebrities for Foreign Policy: Trevor Neilson, philanthropic adviser to the stars. 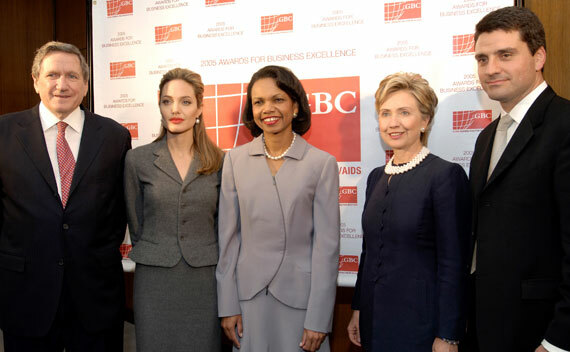 Photo: Neilson at far right, pictured with Richard Holbrooke, far left, Angelina Jolie, Condoleezza Rice, and Hillary Clinton in September 2005. Ho New / courtesy Reuters. One likely portfolio company breeds crickets to produce food for chickens and fish, a more ecologically sound, if somewhat unpleasant-sounding, alternative to traditional feedstocks like corn. Another likely investment will be in Skywater, which makes machines that turn natural humidity into drinking water. Some investments, such as one being considered in the solar energy financing company True Green Capital, could be as large as $100 million each. Though such companies may sound futuristic, Mr. Neilson and Mr. Buffett believe there is a growing market for these products, and growing appetite to finance such endeavors. Investors, they say, are increasingly factoring ethics into their decision-making. It was only in recent decades that some investors began avoiding certain morally dubious companies and sectors — hence the divestiture campaigns that focused on companies doing business in South Africa in its apartheid era and more recently have taken aim at fossil fuel producers and gun manufacturers. Now, the i(x) founders say, investors want to put their capital to work in ways that will not simply avoid doing bad, but actually do some good in the world. As i(x) gets underway, Berkshire Hathaway is under scrutiny for investing in enterprises whose products have drawn criticism over social issues. Berkshire Hathaway also controls Clayton Homes, the nation’s largest homebuilder, which has been accused of preying on the poor. And it owns BNSF Railway, which runs pollutant-spewing trains and transports coal, other fossil fuels and hazardous materials. Mr. Buffett said that he had not asked his grandfather for advice or money while starting i(x). Neither his father, Howard G. Buffett, who focuses on the family foundation, nor his grandfather is an investor. “I’m very careful about what I bring in front of each of them, and even more careful about how I portray that publicly,” Mr. Buffett said. But it is no coincidence that i(x) is structured as a permanently capitalized operating company. That structure — essentially a holding company that owns independently operated companies, and stakes in others — has allowed Berkshire Hathaway to become one of the most valuable enterprises on earth. Unlike a private equity firm, which buys and sells companies, Berkshire Hathaway buys and holds. And instead of taking 20 percent of profits for himself and other managers, Warren E. Buffett reinvests profits into the company. 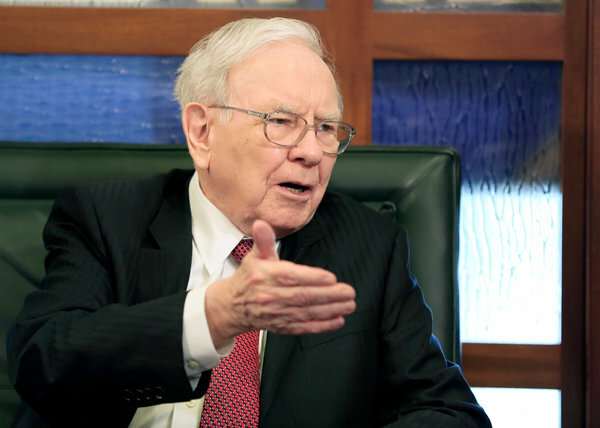 “Compound interest is the miracle of Berkshire Hathaway,” said Todd Morley, a co-founder of Guggenheim Partners, the investment firm with $300 billion in assets, and also founder of G2 Investment Group. G2 is investing in i(x), and Mr. Morley will be an adviser to the firm. Buying and holding companies, rather than selling them, also allows conglomerates to defer costly tax payments. Because i(x) will be investing in nascent technologies, a long-term horizon is particularly important. In addition to helping find and screen investment opportunities, Mr. Buffett’s role at i(x) will be focused on devising systems by which to measure the contributions to society. For Mr. Buffett, who has thus far spent most of his career in the public sector and academia, the decision to start a permanently capitalized operating company was not an entirely obvious choice, but one that took full advantage of his family’s legacy. For Mr. Buffett, the hope is that i(x) will essentially become a baby Berkshire Hathaway with a conscience. A version of this article appears in print on November 21, 2015, on page B1 of the New York edition with the headline: Buffett’s Grandson Envisions Portfolio of Social Change.